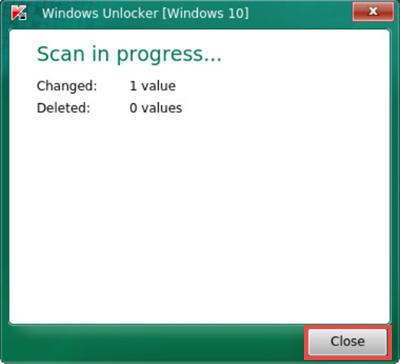 The Windows Unlocker tool detects and deletes software which blocks the operating system. 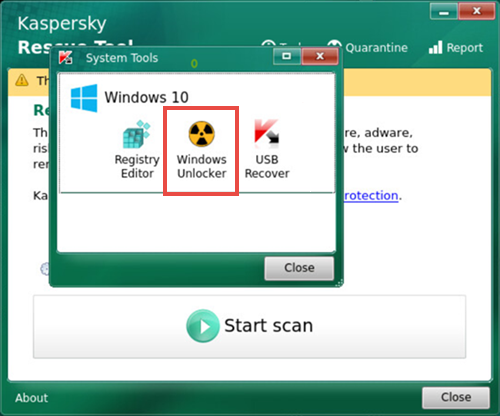 Use this tool only in cases when the startup of the operating system is blocked and scanning it with Kaspersky Rescue Tool did not help. Windows Unlocker may cause malfunctioning of the operating system. 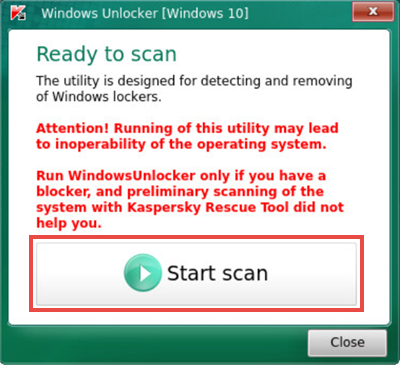 In Kaspersky Rescue Tool, click Tools. Run Windows Unlocker. When the scan is complete, click Close. The detected operating system blockers will be deleted.